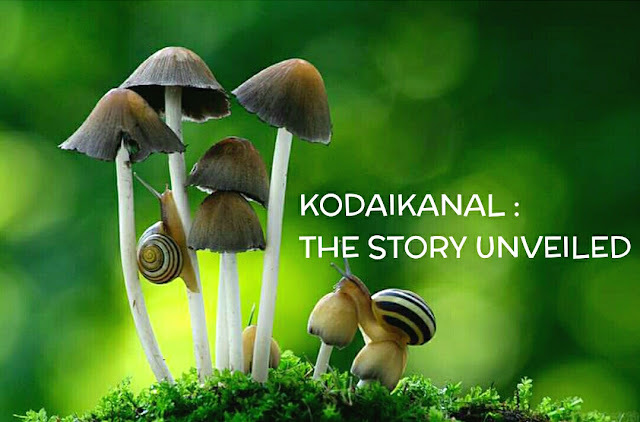 The story unveiled - Ever wondered ,why most of the people in their 20's prefer kodai as one of the main destination for their holiday or a getaway from an hectic schedule ? Situated at an altitude of about 2,133 m from sea level and covering an area of 21.45 sq km, Kodaikanal is a hill town renowned for its educational institutions of international repute. The hill-plantain fruits and plums are known for their freshness and taste. Kodaikanal is one of the most frequented hill resorts in India. Standing amidst sylvan beauty on the southern crest of the upper Palani Hills near Madurai in Tamil Nadu, Kodaikanal is a charming and luring hill station. With its spectacular rocks, tranquil woods, lovely lake and intoxicating air, Kodaikanal is an ideal hill resort for the tourists from all over. 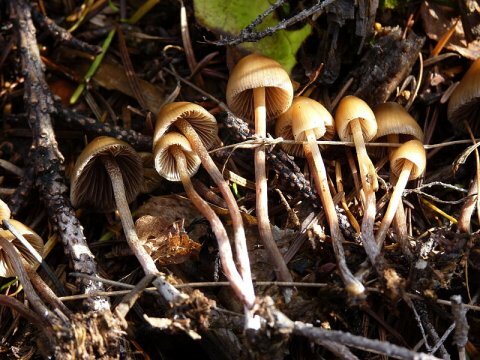 Kodaikanal is known around the world for its 'MAGIC MUSHROOMS' which have a hallucinogenic substance called psylocibin which produces hallucinogenic effects if consumed!! The popular tourist destination is becoming increasingly famous for its 'magic mushrooms' which contain a mood altering substance that gives you a high, similar to a mild dose of LSD or acid. Frequently discussed on the internet, youngsters are flocking to the hill station, to get a taste of this euphoria. The magic mushroom or 'shrooms' as they are colloquially called, contain psilocybin, a mood altering substance. It is used as a recreational drug, whose side effects include euphoria, altered thinking and hallucination. Since this mushroom has not been declared 'illegal', there's nothing that officials from the Narcotics Control Bureau can do to curb its sale and use. Locals from Kodaikanal say that traditionally it has been used by tribal people for medicinal purposes but now, in the last decade or so, it is being increasingly used for recreational purposes. There are a variety of mushrooms that grow in the wild in Kodaikanal, some of them poisonous. A local guide warns against pursuing the 'magic mushroom' in the wild as it could land them in trouble. People consume it in many ways, preferably after drying it. It could be stirred into an omelet, or consumed directly by inserting them in bananas or nutella.It is often found in prairies at the elevation of around 1800m. It is found in abundance in Mannavanur, Kodaikanal, says V S Veerapathiran, a member of Eco Friendly Environment Conservation Trust, Kodaikanal. Psilocybin mushrooms (also called psilocybian mushrooms or teónanácatl) are fungi mainly of the psilocybe genus that contain thepsychedelic substances psilocybin and psilocin, and occasionally other psychoactivetryptamines. There are multiple colloquial terms for psilocybin mushrooms, the most common being magic mushrooms or shrooms. The writer Carmen Hillier speculated that hallucinogenic mushrooms may have a history that dates back as far as 1 million years ago, originating in East Africa. He suggests that early hominids such as Homo africanus, Homo boisei, and the omnivorous Homo habilisexpanded their original diets of fruit and small animals to include underground roots, tubers, and corns. Terence McKenna claims that at this particular time, early hominids gatheredPsilocybin mushrooms off the African grasslands and ate them as part of their diet. 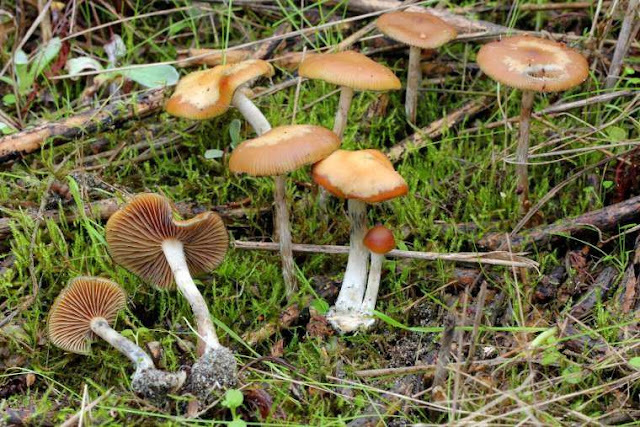 He suggests that the Psilocybin-containing mushrooms that were thought to have grown on the grasslands at that time were thePanaeolus species and Stropharia cubensis, also called Psilocybe cubensis, which is a famous "Magic Mushroom" widely distributed today. Dosage of mushrooms containing psilocybin depends on the potency of the mushroom (the total psilocybin and psilocin content of the mushrooms), which varies significantly both between species and within the same species, but is typically around 0.5-2% of the dried weight of the mushroom. A typical dose of the rather common species, Psilocybe cubensis, is approximately 1.5 to 3.5 grams, while about 3.5 to 5 grams dried mushroom material is considered a stronger dose. 5-7 dried grams is often considered a heavy dose. Psilocybin mushrooms are non-addictive although they do create short term increases in tolerance of users.Oral ingestion can sometimes produce nausea, dizziness, and (more rarely) vomiting (usually at higher doses), though cannabis is often used to lessen this stomach discomfort. The greatest danger from recreational use is a "bad trip" which can cause severe emotional and psychological distress. Also, extremely poisonous wild picked mushrooms can be easily mistaken for psilocybin mushrooms.When psilocybin is ingested, it is broken down to produce psilocin, which is responsible for the hallucinogenic effects. As with many psychoactive substances, the effects of psychedelic mushrooms are subjective and unpredictable. A common misconception, even seen in the professional environment, is that the effects experienced from psilocybin are due to a poisonous nature of the compound, yet the National Institute for Occupational Safety and Health, a branch of theCenter for Disease Control, rated psilocybin lesstoxic than aspirin. The intoxicating effects of psilocybin-containing mushrooms typically last anywhere from 3 to 7 hours depending on dosage, preparation method and personal metabolism. Physicang on the amount of mushrooms ingested, myriad physical reactions can be experienced: a loss of appetite, coldness in the extremities, increase of pulse rate, numbness of the mouth and adjacent features, nausea, elevated blood pressure, weakness in the limbs (making locomotion difficult), muscle relaxation, yawning, swollen features and pupil dilation. Noticeable changes to the audio, visual, and tactile senses may become apparent from between ten minutes to an hour after ingestion. These shifts in perception, visually, include enhancement and contrasting of worldly colors, strange light phenomena (such as auras or "halos" around light sources and other beings), increased visual acuity, surfaces that seem to ripple, shimmer, or breathe; complex open and closed eye visuals of form constants or images, objects that warp, morph, or change solid colors; a sense of melting into the environment, and trails behind moving objects. Sounds seem to be heard with increased clarity; music, for example, can often take on a profound sense of cadence and depth. Some users experiencesynesthesia, wherein they perceive, for example, a visualization of color upon hearing a particular sound. As with other psychedelics such as LSD, the experience, or "trip," is strongly dependent uponset and setting. A negative environment could likely induce a bad trip, whereas a comfortable and familiar environment would allow for a pleasant experience, although neither side of this binary is without exception. 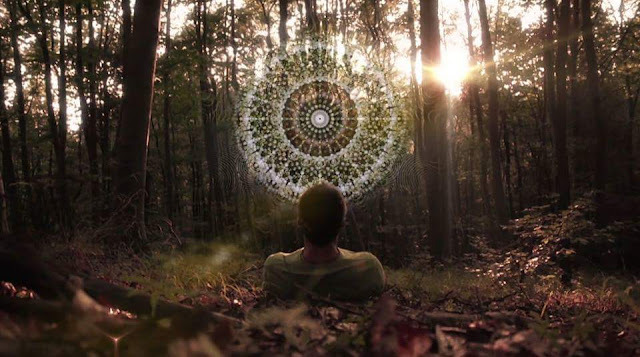 In 2006, the U.S. government funded a randomized and double-blinded study by Johns Hopkins University which studied the spiritual effects of psilocybin mushrooms. The study involved 36 college-educated adults who had never tried psilocybin nor had a history of drug use, and had religious or spiritual interests; the average age of the participants was 46 years. The participants were closely observed for eight-hour intervals in a laboratory while under the influence of psilocybin mushrooms. One-third of the participants reported that the experience was the single most spiritually significant moment of their lives and more than two-thirds reported it was among the top five most spiritually significant experiences. Two months after the study, 79 percent of the participants reported increased well-being or satisfaction; friends, relatives, and associates confirmed this. Despite highly controlled conditions to minimize adverse effects, 22% of subjects (8 of 36) had notable experiences of fear, some with paranoia. However, the authors reported that all these instances were "readily managed with reassurance". While this mushroom has been banned in many countries, it has been legalized in a few others. However, in India narcotics officials are confused. "Magic mushroom contains psilocin which is banned in India, but one cannot arrest the people who possess the mushroom because it has not been declared illegal." There are people on street who keep asking travellers for rooms. Ask one of them who is alone. Mushroom are available ONLY during during monsoons in Kodai, i.e. well after the start of the monsoons and before the end of winter.September to November is the best time to find big, fresh shrooms. Are the mushrooms couriered to chennai? My sister is a schizophrenic and OCD patient for the last 10 yrs. How much dosage needs to be given to cure the disease? Psilocybin is NOT recommended for schizophrenia! Please DO NOT use psychedelics if you are bipolar, (genetically predisposed to) schizophrenia or have other known metal health issues. Consult a certified medical professional. I am planning on a trip for september. Can anyone tell me what species of mushroom u get in Kodai? Is it cubensis or do they give a mix of species? Can i visit this place for tripping in March? ?